Webmail platforms like Gmail, Yahoo mail and Hotmail are mostly used by everyone to exchange communication. 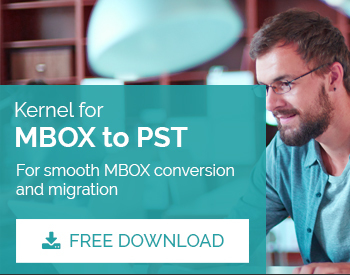 Available as free without any annual maintenance along with availability of large storage platform makes it one of the most preferred platforms among many users. The webmail interface is designed in such a manner that the status of every item is clearly mentioned in the real time. Even the details regarding deleted, spams, labelled, important are also available in the Webmail interface. 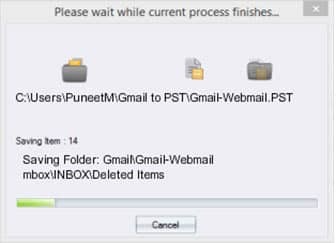 In Gmail, feature like ‘DMail’ has powered its user to revoke the access to any message at any time even if it is read. 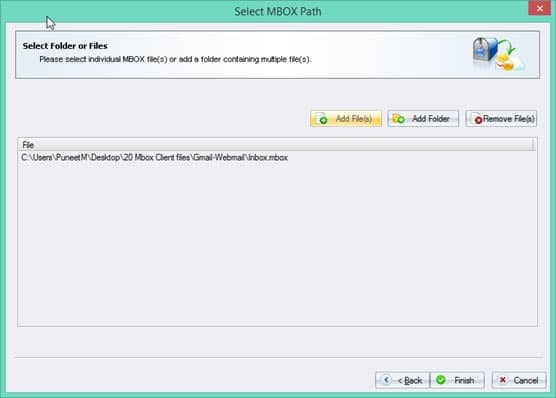 However, for professionals the situation turns out to be strange when accessibility to the Gmail emails is needed in Outlook platform. In simple words, it is practically impossible to access the emails from Gmail to PST file format. Select Gmail/WebMail from the window appeared on the tool’s interface. Click Next to proceed for selection and addition of concerned Gmail/Webmail files. To add the files, click ‘Add File(s)’. If some incorrect file has been added, then it can be deleted by clicking ‘Remove File(s)’ button. Once files are added, click ‘Finish’ to proceed to next step which displays the detailed structure of the Gmail email items to be converted to Outlook PST file format. To save the recovered content click ‘Save’ button located at the top of the menu bar. On clicking the ‘Save’ button, a new window appears that is meant for conversion. The ‘Conversion Options’ are provided in this Window with an option to convert all items by clicking ‘Convert all Items’ or by defining criteria of conversion by clicking ‘Define Conversion Rule’. 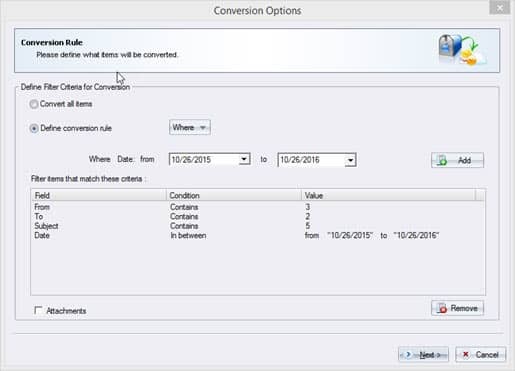 To make the conversion to Outlook PST, click the ‘Define Conversion Rule’ radio button that further provide different options that required to be selected from the ‘Where’ dropdown menu. In ‘From’ field, enter the values in the field to make the process quicker. Similarly, the values are put in ‘To’ field, if required in the process. Likewise, ‘Subject’ filed is also populated with the values and choices like ‘Contains’ or ‘Doesn’t Contain’. ‘Date’ field gives the date range in which the concerned files can be found. 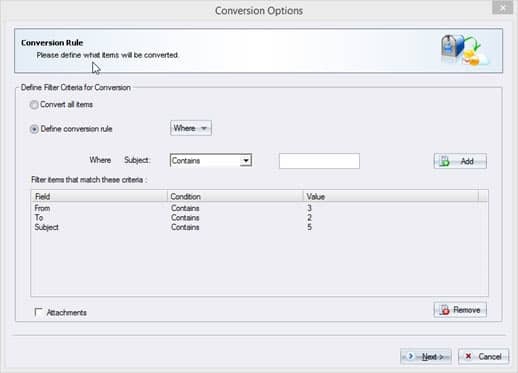 To include attachments in the conversion, tick the ‘Attachments’ checkbox followed by clicking ‘Next’. The new Window will appear on clicking ‘Next’ that allows to save the files in different formats like ‘Save in PST’, ‘Save in MSG’, ‘Save in EML’ and ‘Save in Office 365’. 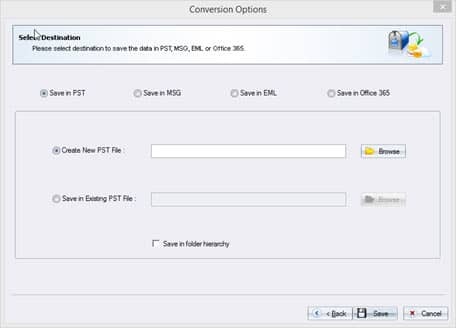 Once ‘Save in PST’ is selected, two saving options will be displayed: ‘Create New PST File’ and ‘Save in Existing PST File’. 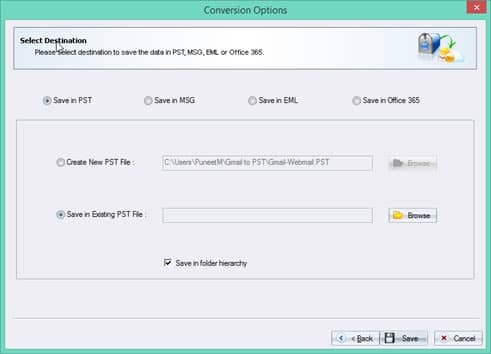 To save the Gmail/Webmail files in the pre-existing Outlook PST files, click ‘Save in Existing PST File’. 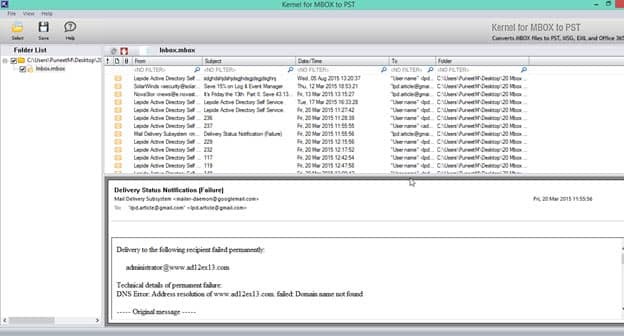 Click the ‘Browse’ button and define the location of the pre-existing PST file is presented. Click ‘Save’ button to proceed. Check the checkbox ‘Save in folder hierarchy’ to save the folders in hierarchical fashion. 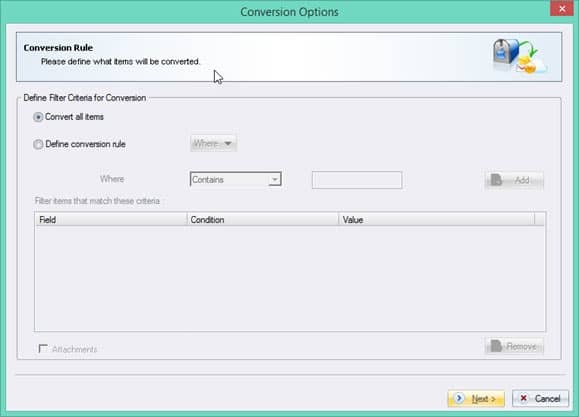 Click ‘Save’ button to initiate the conversion process . 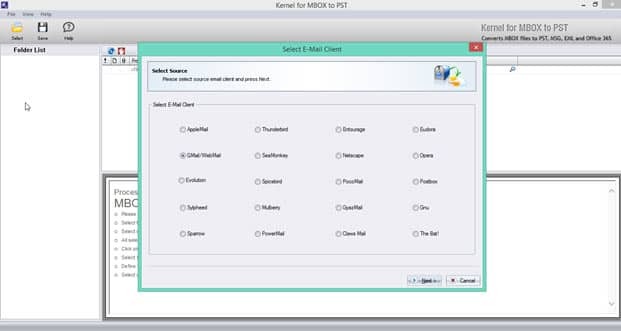 Once the conversion has been successfully accomplished, the message of successful completion will be displayed on the tool’s interface.